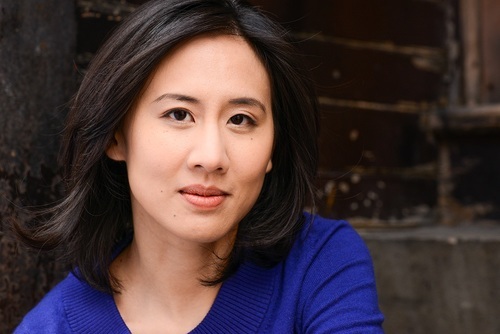 Celeste Ng grew up in Pittsburgh, Pa., and Shaker Heights, Ohio, in a family of scientists. She attended Harvard University and earned an MFA from the University of Michigan (now the Helen Zell Writers' Program at the University of Michigan), where she won the Hopwood Award. Her fiction and essays have appeared in One Story, TriQuarterly,Bellevue Literary Review, Kenyon Review Online and elsewhere, and she is the recipient of the Pushcart Prize. She lives in Cambridge, Mass., with her husband and son. Long ago, my husband told me about a school friend who'd pushed his own younger sister into a lake. She was okay, but I couldn't get that picture of a young girl, underwater, out of my head. I started thinking about family dynamics and jealousy--and of course I wondered what it would have been like to be that girl. As a writer does, I started to tweak the situation. What if the girl had actually drowned? What if she had been the family favorite? The novel evolved to be quite different from the original story, but that image--a girl falling into water--was the seed. It absolutely does. When I started the novel I wasn't yet a parent, but after my son was born--between the third and final drafts--revisiting the scenes of loss, especially the ones from Marilyn's and James's perspectives, became incredibly difficult on a visceral level. Sometimes I'd stay up late writing and then need to sneak into my son's room to hold him while he was sleeping. The Lee family is torn apart by the everyday secrets human beings keep about their inner selves. Why do people feel compelled to hide their thoughts and dreams even from their loved ones?